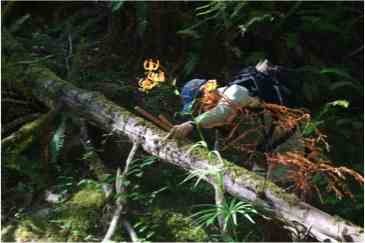 Doug navigates his way under a downed tree while collecting salmon habitat data. Using CHaMP (Columbia Habitat Monitoring Protocol), we measured the length, width at 1/3rd, width at 2/3rds, and maximum depth, while distinguishing each stretch of the stream as either a riffle, scour pool, or non-turb. Garret Linck is working on habitat conservation and restoration in the California wilderness as the Paul Siegel Salmon Restoration intern. For his final blog installation, he is sharing a series of photos from his experience. 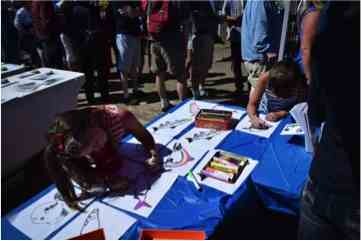 Fort Bragg annually hosts “The World’s Largest Salmon Barbecue” as an effort to raise funds and awareness for Salmon Habitat Restoration in the area. While CHaMP was developed in the Pacific Northwest, conservation organizations have been actively working to extend efforts to Northern California to collect data and restore ideal stream conditions, especially in the aftermath of recent droughts. More information here: http://www.salmonrestoration.com/world_largest_b_3.html. 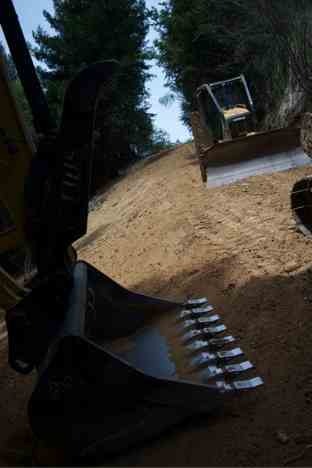 (Below) A close up view of the process of restoring a historic logging road to its previous form: a forested hillside. This particular road, creatively titled the M2, is situated directly above Big River, and had obscured many streams and tributaries. As a result, sediment runs off of the road and through the culverts (which were all removed) and into the river. An incredible amount of work goes into decommissioning a road; the fill that was brought in to build the road has to be removed, the hillside has to be returned to its original form (by determining where the original ground begins and the fill stops), the newly cleared area must be covered in slash (cut pieces of trees and other cleared natural debris from the project) in order to prevent erosion and provide cover, and finally, specific to this project, a trail was roughly cut to enable public access. The road had been a popular spot for mountain bikers and walkers, and the Mendocino Land Trust plans to continue to foster this access after the rehabilitation process is complete. (Below) This is an example of what a road decommission project looks like when complete; the waterway has been returned to its natural state by the removal of a culvert. Slash has been added along the bands to cover the exposed dirt and prevent against sun loving invasives dominating the ecosystem (pampass grass is the main culprit). 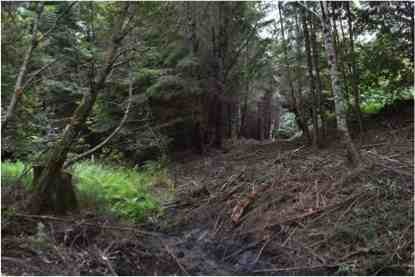 Now, what was previously a road will slow begin to grow to resemble its surrounding and return to a forest.